¿Cómo han estado? Another great week out here in the sticks is in the books. It's been absolutely stunning outside, and everything here is finally turning green. It's absolutely BONITA! 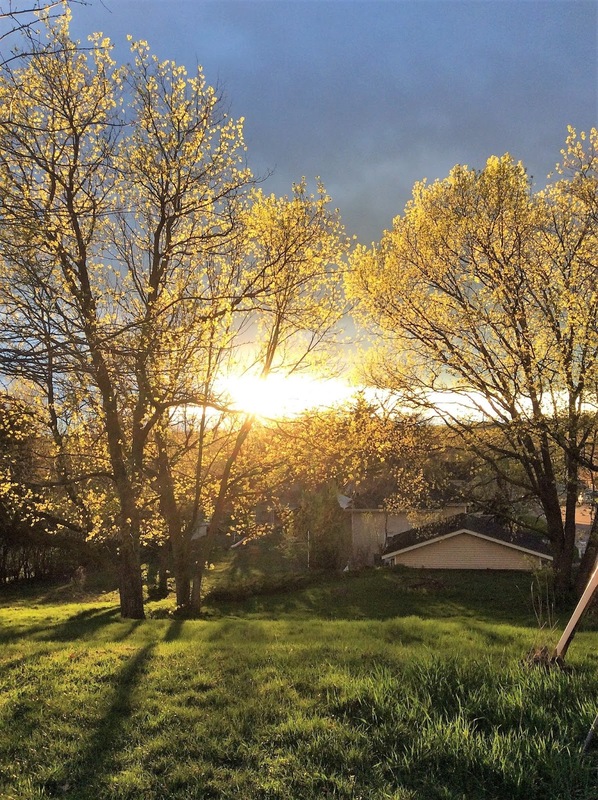 Spring is finally in the air, and it's definitely pumped us up for this week and the upcoming spring season. 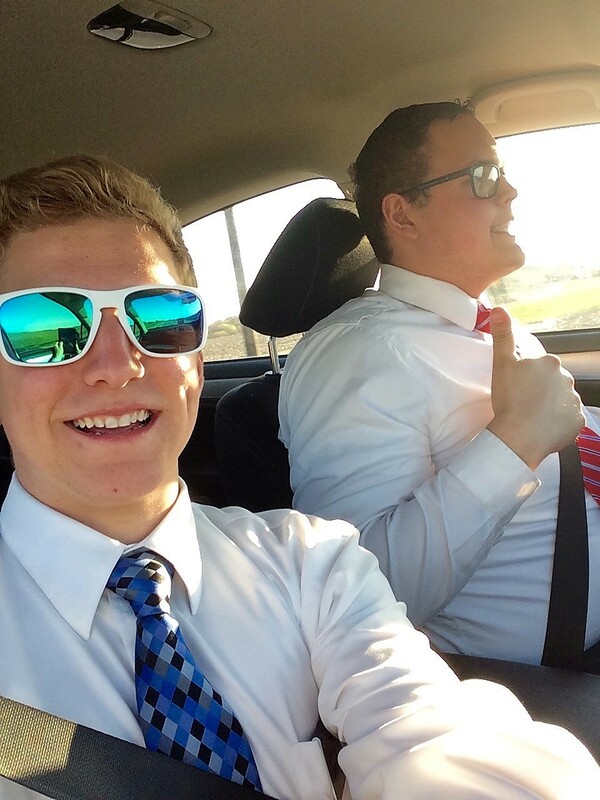 This week, on Wednesday, we got to help out with the funeral service for Sister Hunter's brother. Her family is still going through a really rough time right now, but we were able to see them on Tuesday and we had a really awesome lesson with them about finding hope through the resurrection of Christ. It was nice to give them some more comfort during this time. I know for me, I can never be reminded enough of the peace and joy that comes from having a knowledge of the plan of Salvation and the sacred mission of Jesus Christ to come to earth and pay the price for our sins and break the bands of death. It was a really great service and a wonderful experience to help them out again! 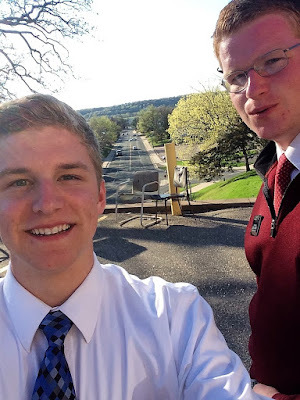 On Thursday, we got to do some more work up in Le Sueur. We recently reconnected with an investigator and his esposa named Raul and Isabel. Apparently, she met the missionaries a number of years ago where she is from in Mexico, and received a testimony of the restored gospel and was baptized into the church. But, after moving here she has drifted away a bit and has a really hard time getting down to Mankato, MN for church on Sundays. We've also been starting to teach her husband who isn't a member, and we got to teach them part of the message of the Restoration and the Plan of Salvation! It will be a struggle to try to get them to church, but they're both super friendly. Additionally, we visited with a recent convert named Josefina. Such a sweet old lady, but has the thickest Spanish accent I've ever heard and it's so hard to understand her! haha. When we went over there, she had her neighbor, José, visiting as well! 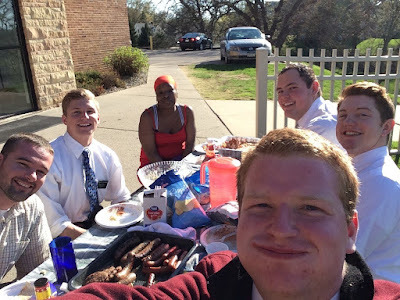 We shared a few verses in the Book of Mormon about service and being an example of Christ. And we also got to invite José to come to church! He seemed to really enjoy us being there and hopefully we can meet with him again and start teaching him. Saturday was an absolutely packed day! Started off with a move for a few members of the ward across town. Then we had “Ward Soccer” which we put on every Saturday morning. It was a super nice turnout too! We played at a field on the Minnesota State University campus, and we are getting more students and non-members to come. After a prime morning of futbol, we had exchanges with the Mankato elders, and I got to go work with Elder Bentley from West Jordan, Utah. We had a blast! We participated in a few solid appointments, one with an investigator of theirs from West Africa named Shariff, and others with a few less-active members of the ward. For dinner, we got together with less active sister, Sister Johnson. We helped her rearrange her apartment a few weeks ago, but she is just beyond sweet! Last week, she invited us over to have a barbecue, and she went all out! It was SO good! Plus, we were even able to bring one of her home teachers along, which was really cool. Super awesome day! So just a quick thought to finish off. I have started to treasure the time we have every morning that is set apart to study the scriptures! They are such a powerful resource in our lives to find guidance and comfort. I've recently been studying the Gospel of John in the Bible (definitely my favorite account of Jesus's ministry), as well as at least a chapter a day in the Book of Mormon. The other day, I found a really cool connection as I was practicing some reading in Spanish. In 2 Nephi 30, the prophet Nephi talks about how the gospel of Jesus Christ will be declared among the people of the world and those who come unto Christ and keep his commandments"shall be a pure and delightsome people." An interesting difference in the Spanish translation of the scriptures, is every verse that says "Feast upon the words of Christ" (2 Nephi 32:3), in Spanish they use the word, Deleitar, which means to delight; We are delighting the scriptures. As we spiritually feast - or delight - in the gospel, we increase the happiness and joy we have in our lives, we become spiritually nourished and the light within us begins to grow. We can have greater access to His holy spirit and divine power. I know that as we strive to put Christ at the center of our lives, strive to keep God's commandments, to attend church, read our scriptures, and call upon Him in prayer, we can continue to grow spiritually and become like the scriptures say, a more delightsome people. As we do this, the Lord will bless us and help us stay on the path to return to him! Thank you guys so much for all your love and support, ¡Cuídense mucho amigos!